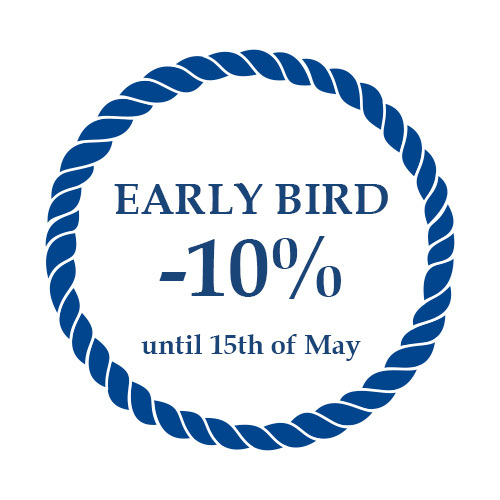 Sail & Play combines active lifestyle and sailing on an authentic Finnish wooden tall ship, it’s an adventure full of unforgettable sailing experiences, trekking and playing beach volley in the most beautiful archipelago of the world. 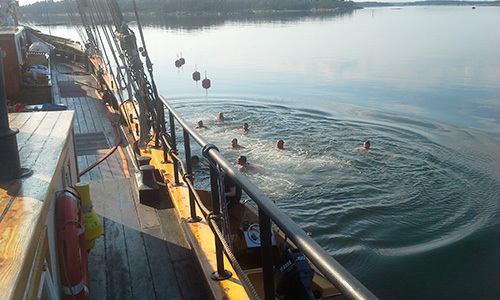 During the holiday the guests also have the opportunity to paddle board, canoe, trail run and hike or just relax in the sauna of the ship or in the hammock with a good book. Sail & Play also appreciates delicious food and the guests will be pampered with the ship Chefs nautical cuisine throughout the holiday. 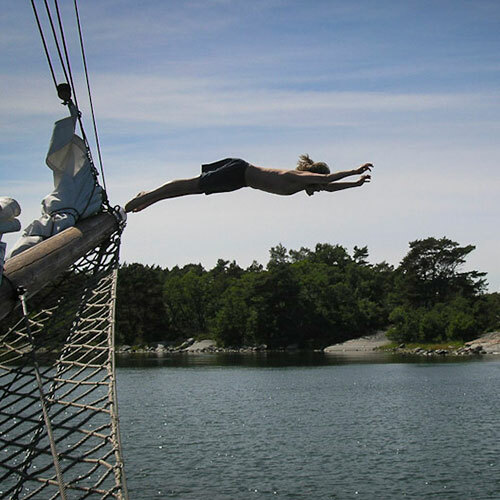 Guests can also take part in all activities aboard from hoisting and trimming the sails to navigating and steering the vessel with our highly skilled crew. 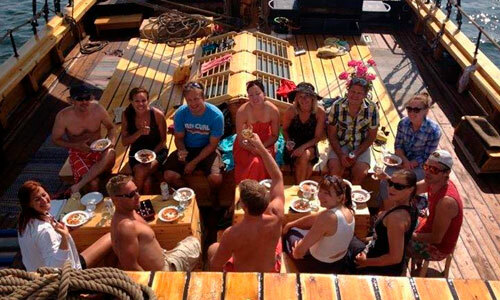 To participate in Sail & Play you don’t need to have any previous sailing experience, we’ll take care of you. Sounds like a perfect holiday, doesn’t it? 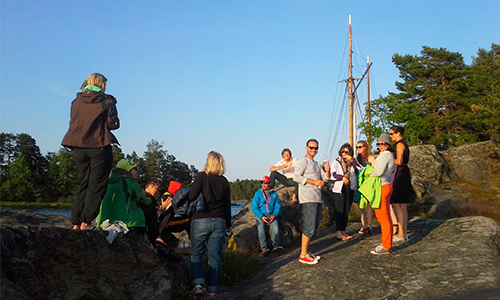 Sail & Play starts from Helsinki on Monday 1.7. and ends to Turku on Sunday 7.7. The prices are all inclusive. 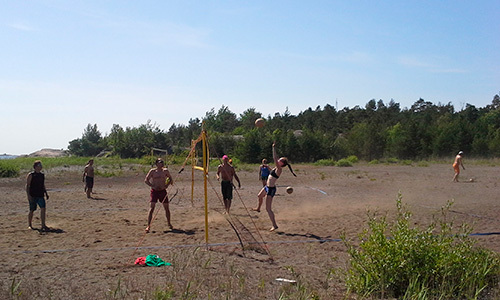 Accommodation in 2-3 person cabins. Places will be filled in the order of registrations. 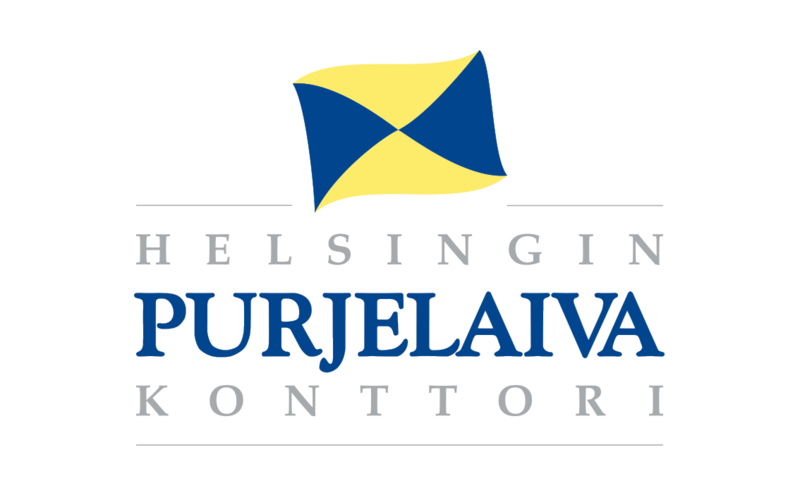 Helsingin Purjelaivakonttori has the right to cancel the journey if the minimum amount (10 people) of participants is not fulfilled. In that case Helsingin Purjelaivakonttori will refund. Bookings and possible cancels before 14th of June. Welcome aboard m/aux Svanhild in Helsinki Halkolaituri. Cabins and safety instructions. Journey begins and heads to West. Anchor at the archipelago of Inkoo for the night. Sailing continues in the morning towards Jussarö, where we arrive after lunch. Opportunity to take part in different activities. Spending the day in Jussarö and sailing continues to West after lunch. Anchor at sheltered creek nearby Tvärminn for the night. Sailing continues after breakfast and heads to Hanko, where we stay for the night. Sailing continues after breakfast and heads to Högsåra. Opportunity to take part in different activities. Sailing continues after lunch and heads to Seili. Getting to know the island and its history. 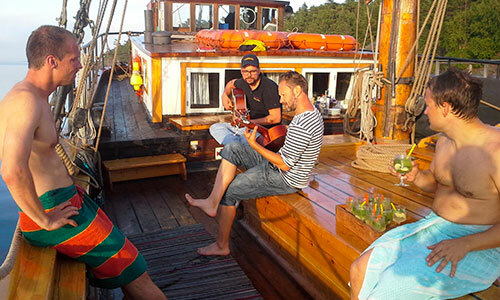 Sailing continues in the morning and heads to Turku, where we’ll arrive in the afternoon.